It's hard to do all this well and that's why engineers have been gradually improving engines for over a hundred years. 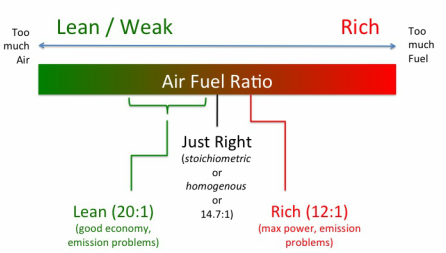 The air fuel ratio is very important. Get it wrong and you lose power, efficiency and increase emissions. Normally, engineers aim for exactly the right amount of fuel so that all the air is burned. Sometimes we want to add a little more fuel (rich mixture) to get more power or a little less fuel (lean mixture) to get better fuel economy. You can add fuel easily but the challenge in designing an engine is to get the air into it. There's an entire world of intake manifold design, turbochargers, engine heads and superchargers that work on this but it's not on this year's special topic. The next challenge is to figure out how much air actually went in! There's a wide range of things that affect how much air is going into an engine and a good fuel system needs to adapt to them all. We need to know how the engine management system figures this out. To get a precise control over the amount of fuel in, we use a computer to turn on or off an injector that sprays fuel into the engine. 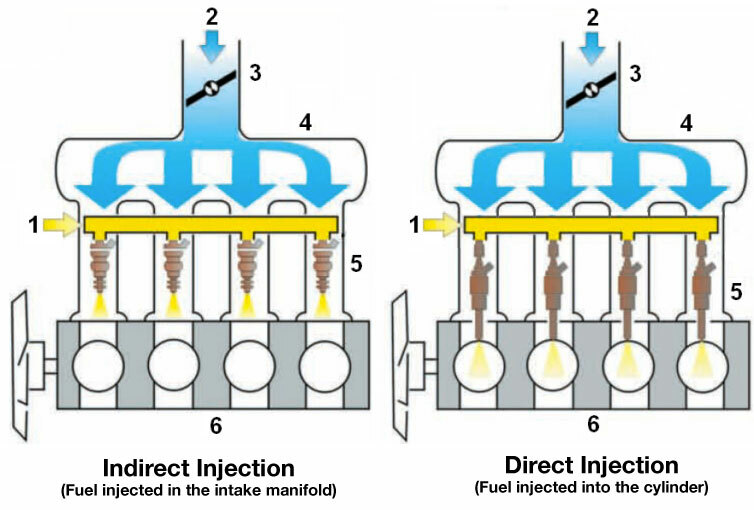 The big difference between direct and indirect injections systems is where these injectors are. How much air is coming into the engine? Fuel is injected before the intake valve (outside the cylinder). 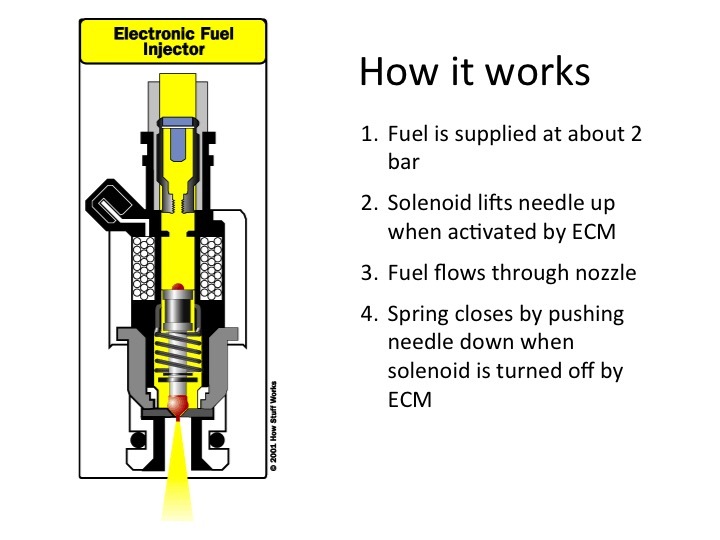 The amount of fuel delivered depends on how long the injector is on for. Fuel is injected directly into the cylinder. This means exactly the right amount of fuel is delivered. But because the cylinder pressures are very high and there's less time to inject the fuel, we need to use a much higher pressure fuel injection system. This is complicated and expensive. 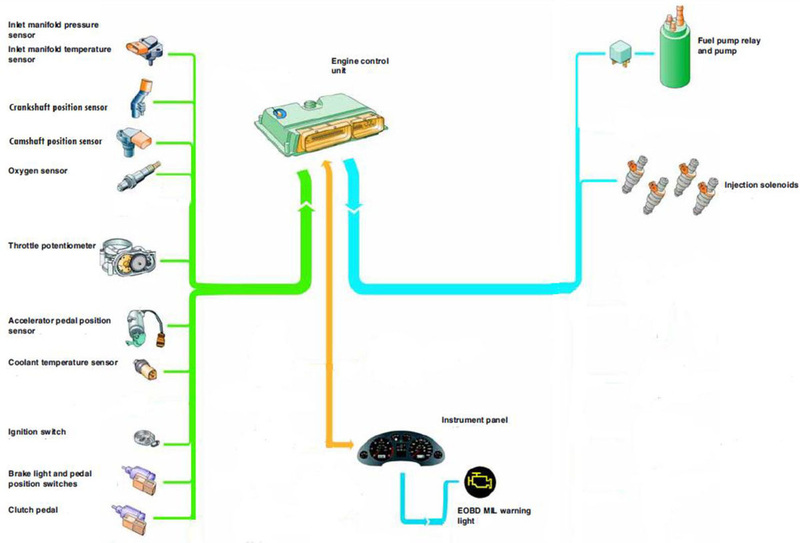 A major advantage of direct injection systems is the ability to use a stratified charge. This means that there's a small area of fuel and air near the spark plug rather than filling the entire cylinder. Effectively, you've made a smaller engine which is good for fuel economy when you're idling or not driving hard.